Ideal for long walks in cold weather conditions, Aigle’s Parcour boot has been crafted with a thick neoprene lining that is fully adjustable to ensure your comfort. Combined with a dual density sole that cushions each step on rough terrain, these are high quality boots that we recommend. 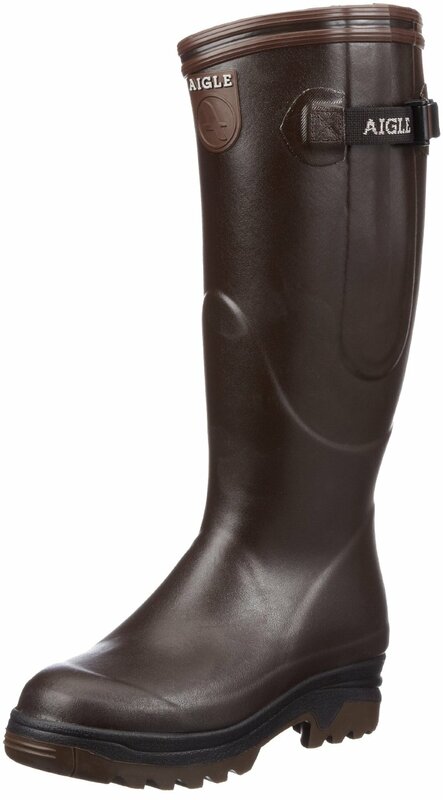 Aigle Unisex Parcours ISO wellingtons are wellies with attitude. Designed as a walking boot with a sole that is frequently used for hiking footwear, they offer a great alternative to the traditional welly if your needs are for more than just basic waterproof boots. Inspired by hiking boot technology they have an Actigrip sole that gives excellent grip and durability. This ensures that the Aigle Parcours has exceptional traction when going uphill or down. The dual density shock absorbing sole coupled with a 2mm polypropylene insole ensures that your feet will be protected and supported even on rough ground. This makes them particularly suitable if you are looking for a boot that is comfortable for longer or more frequent walks. The boot itself is made of natural rubber with a neoprene lining. The insole is also neoprene with the addition of a 6mm layer of insulating felt ensuring that your feet stay warm and cosy even on the chilliest of days. Although this is obviously a huge benefit in the colder months it may be too warm for some when the weather heats up. 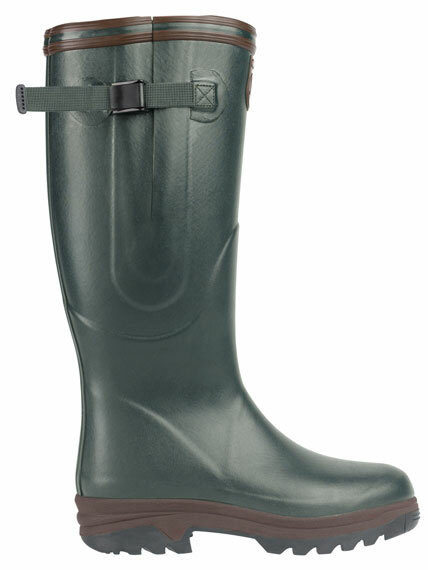 The body of the boot is 100% rubber made with Aigle’s special mix that has been designed for intensive outdoor use. It’s resistant to ozone damage and the aging process which means that you should have waterproof boots that last longer than a single winter. Unlike more traditional wellies the Parcours has a profiled ankle fitting that along with the adjustable tightening strap around the calf guarantees a good fit and superior boot retention whilst walking. Scoring 5 out of 5 based on 106 reviews from Amazon customers it seems hard to find anything to fault these boots apart from perhaps the unwellyish price range. More akin to leather boot pricing the Parcours ranges from £114.40-£160.00. This may seem a lot for a rubber boot but the customer reviews speak for themselves with some customers still wearing their original boots 9 years after purchase. That’s a great return on investment of around £16.00 per year, extremely cost effective if you wear your boots every day. If you are looking to invest in the Aigle Parcours ISO boot be aware that it is about to be superceded by the Parcours 2 ISO boot. The physical appearance of the boots is similar but the new improved Parcours 2 offers an anti fatigue upgrade to the original. Over two years of research and development has enable Aigle to produce a boot that supports the roll of the foot, reducing the impact on the heel which makes the most of the natural movement which therefore becomes lighter and less tiring. Technical trials conducted in an independent laboratory has shown that the new Parcours perform at twice the energy absorption capacity of the European standard and twice the grip of the original Parcours. So if you want waterproof boots that will last, that you can walk and be comfortable in everyday why not consider investing in a pair of Parcours. There is little to complain about it seems with an exception 5 out of 5 stars from Amazon. The addition of so many extras make this an exceptional walking boot even though it may be masquerading as a welly with attitude. Cleated walking boot sole for extra grip on uneven terrain. Narrow ankle keeps the boot in place for additional foot support. Made of 100% natural rubber making the boot extremely comfortable. Neoprene lining, waterproof gusset and adjustable tightening strap around the calf. Natural rubber upper with profiled ankle fitting ensuring excellent support and retention of the boot when walking. Dual-density shock-absorbing sole unit for walking comfort. Unique sole tread for excellent grip, self-cleaning cleats and stability. 4.5mm thick neoprene lining makes the boot extra warm. 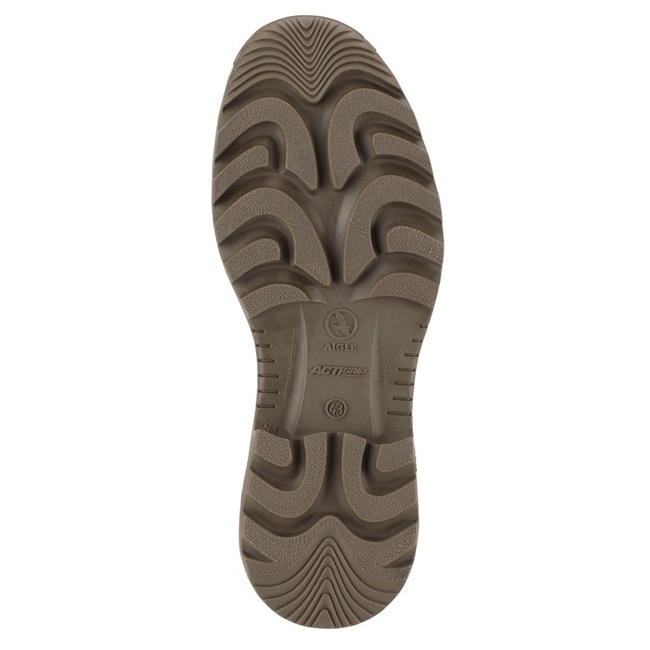 2mm thick polypropylene in-sole, provides underfoot protection and support when on rough ground. After owning Hunters for some time, I finally decided to make a change. The quality of Hunter boots we have bought seems to have dropped so much now that they’re a “fashion” item; it’s unreal. The last decent pair I had were Argylls from around 2004. So I’ve tried Aigle: They are not cheap, but they are excellent quality. These have the red spongy lining, which is great in cold weather, and has stayed clean. Inside the heel is a little grippy rubber pad. Without this, when you lift your heel in the normal course of walking, your heel would slip upwards on the neoprene. This pad stops this, but if you are wearing short socks, it can have the effect of allowing the heel to slip upwards a little, and just pulling your sock down on your heel. That said, any “normal” sock (sports sock or longer) will be fine. They’re very comfortable, even for longer walks. The ‘walking boot’ sole is very grippy; they feel very sturdy. Overall, if you are wearing boots a lot, these would be a great investment. If you are on occaisional wearer, perhaps a cheaper pair would be better value. I will be avoiding Hunter until they get their manufacturing standards sorted, and the quality reviews pick up again. UPDATE Apr 2013 Bought these in Jan 2012, now had them for over twelve months. I wear these boots at some point pretty-much every day, and they are as comfortable and sturdy as the day I first put them on. They’re just an excellent product. Through floods/snow/ice and who knows what else last winter, I woudn’t have swapped these for any boots I have ever had. I was going to get the Hunter Sovereigns as Amazon do them relatively cheaply, but I kept on reading negative reviews about Hunter quality generally, so didn’t feel like wasting my money. Anyway, after quite a lot of searching I decided on these and am very pleased. Straight out of the box they just feel big, solid and purposeful. They’re an inch or so higher than my last wellies, but what you notice right away is the chunkiness of the sole and the thickness of the neoprene lining. When you put them on, it’s almost like walking in slippers, so cushioned is the sole. The thick neoprene lining gives extra cushioning and also insulation for those cold winter days when you might be out for quite a while. They just seem like a different league compared to normal wellies and must be much more value for money than the much more expensive leather lined boots you see. Quality craftsmanship - Aigle have over 150 years of experience making boots, and the Parcour showcases this heritage. From a cushioned sole to an anti-fatigue guarantee, this is a well-made waterproof boot. Price - with a price range between £115 to £160, these are not just cheap wellies for getting muddy in. They have been crafted with high levels of comfort and quality to provide the highest standards of comfort to support your feet for years of country pursuits. Alternatives - at this price, you may wish to consider alternatives, such as leather boots (see Le Chameau).